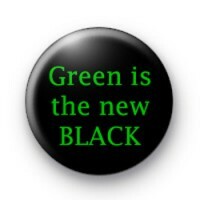 Green is the new black, button badge. Recycle & do your bit for the planet. Go GREEN!